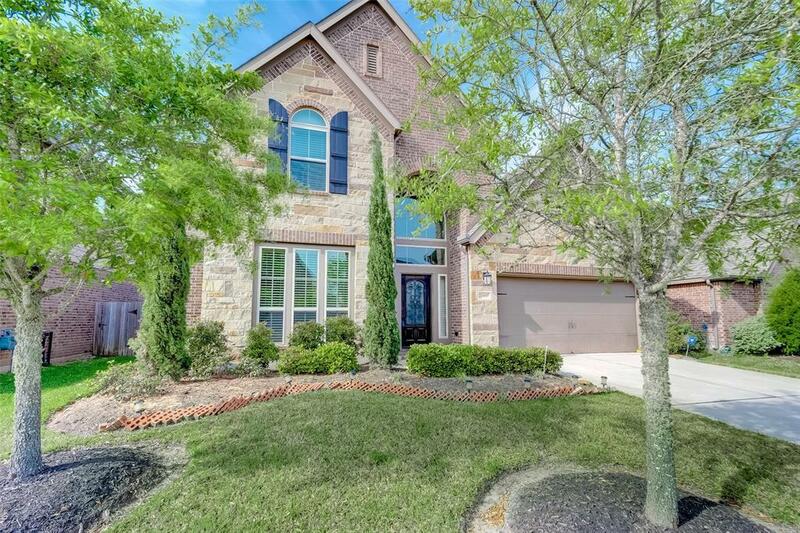 2-story; 4bdrm/3.5bath/2car garage Perry Home in Pine Mill Ranch no back neighbors; back to greenbelt! 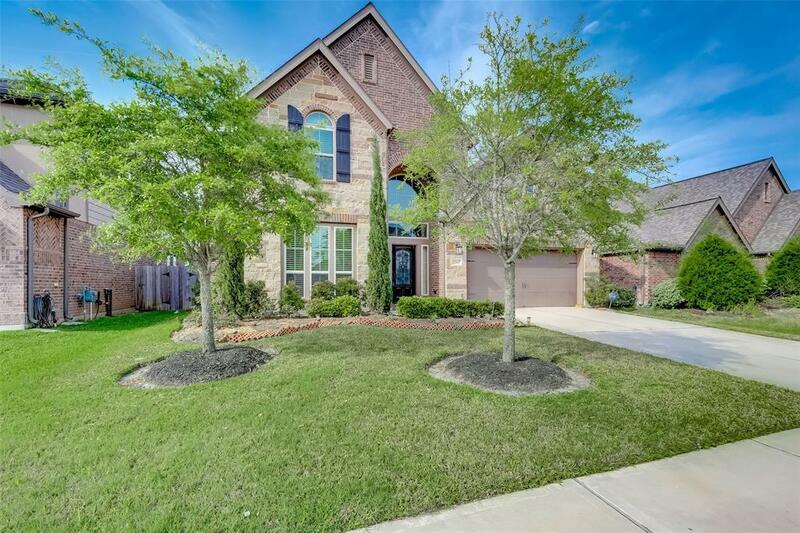 Highly sought-after floorplan with master bedroom plus 1 secondary bdrm down! 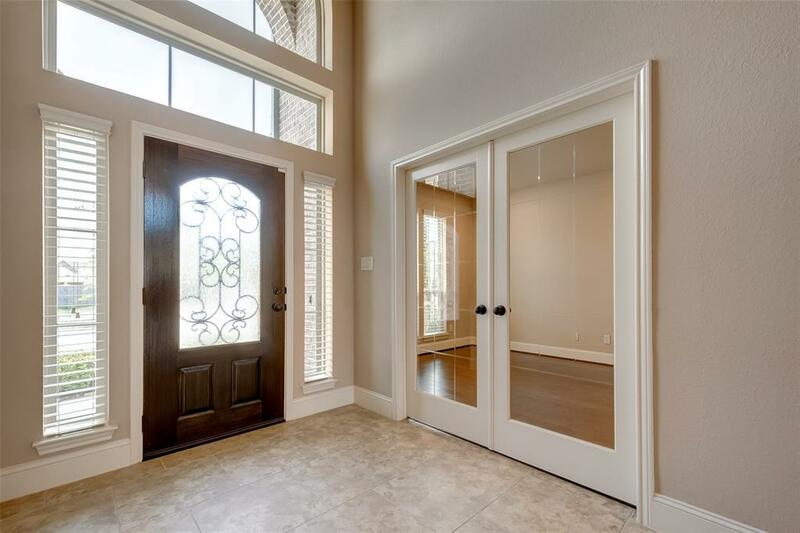 Ceramic tile flooring throughout entry, family room & kitchen. Private study with French doors and formal dining room, both feature hardwood floors. 2-story entry and den with a wall of windows makes this home so inviting and easy to entertain in esp. with the extended covered patio! Kitchen includes granite counters and stainless steel appliances & tons of storage. Upstairs you find 2 secondary bedrooms and a large gameroom. Downstairs mster suite has 11 ceilings and 2 walk-in closets. Secondary bdrm down has its own full bath. 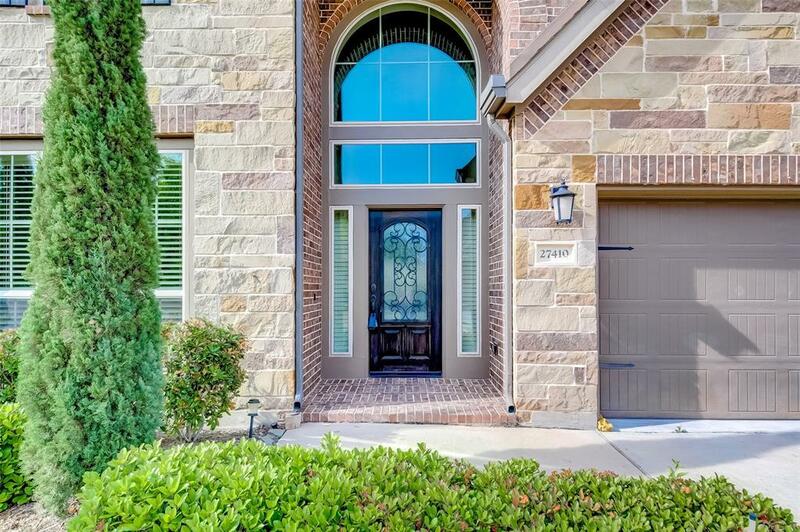 Home includes blinds, window shades, water purify/filtration system & full sprinkler system. Dont forget all the amenities Pine Mill Ranch has to offer: hike/bike trails, pools, splash pads, & so much more with very low HOA dues!